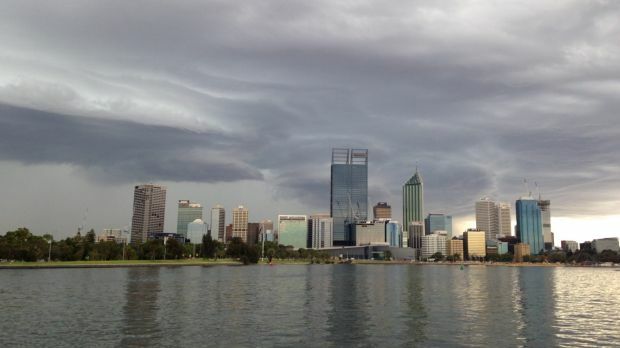 Hail and lightning keep emergency..
Wild weather has lashed the metropolitan area as a storm front moved though Perth yesterday. Western Power crews are again working to repair the network – as thunderstorms continue to knock out electricity to various areas. The northern suburbs were again subjected to wild weather after a severe thunderstorm swept south from Yanchep yesterday. The Bureau of Meteorology issued a continued warning to those in an area bounded by Carnarvon, Gascoyne Junction, Mount Magnet, York and Mandurah on Monday evening, with people in the towns of Kalbarri, Northampton, Geraldton, Jurien Bay, Dalwallinu, Mandurah and the Perth metro area affected. A risk of severe thunderstorms would carry into the evening and Tuesday, the BoM warned. More storms are expected to hit throughout today. North of Lancelin – around four thousand people are still without power this morning. Storms have impacted around 190 thousand households since last Thursday.